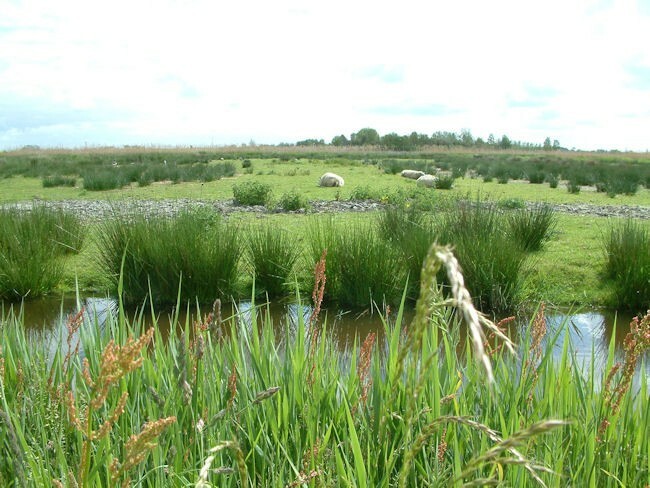 About one third of the Netherlands lies below sea level. Through a complex system of dikes, pumps and sand dunes along the coast, the Netherlands stays above water. 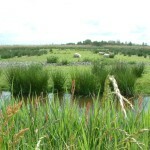 In fact, it has one of the most sophisticated anti-flood systems in the world. In 1932 the IJsselmeer (former Zuiderzee) became a closed off inland bay in the central Netherlands. 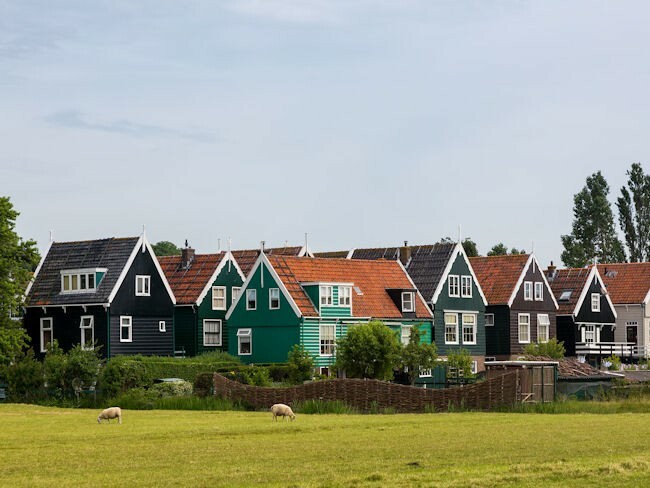 This tour shows you the major highlights on the bay, the beautiful historic towns of Kampen, Enkhuizen and Hoorn, and the beautiful villages of Giethoorn, Blokzijl, Urk, Edam, Volendam and Monnickendam. Making this tour the perfect summer destination are the UNESCO monument of the former island of Schokland, the peninsula of Marken, the windmills near Zaandam, the Weerribben and Wieden National Park and the short, but impressive ferry crossings which give you a full taste of the bay and this beautiful region. Your Tulip Cycling representative will meet you at the central train station on the outskirts of Kampen. which is just an hour train ride from Amsterdam. 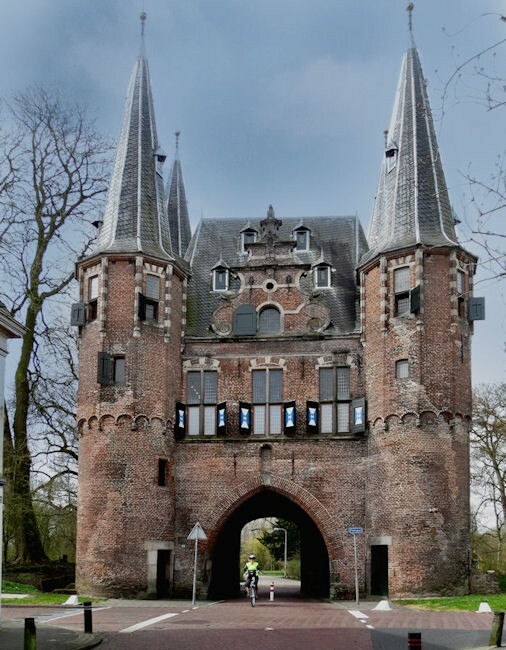 After the bike fitting and your orientation you are in for a lovely ride to Kampen itself, a beautiful Hanseatic town which you will want to take some time to get to know. From Kampen bike to the Wieden National Park. 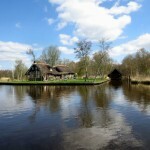 Enjoy the lovely village of Belt Schutsloot and the impressive lakes along your route. Still only accessible by boat Giethoorn, is also known as the Venice of the Netherlands. The small village of five km by just two blocks of houses has over an hundred and eighty bridges and many of them are only accessible by bicycle. The Harmonie hotel is situated on one of the charming canals and a boat ride e late afternoon is a good way to finish your first day. A day to remember! 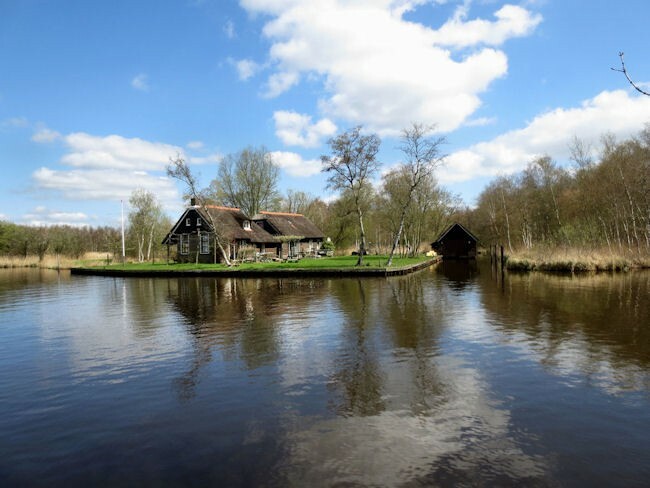 Start cycling through the Weerribben National Park, the picturesque village of Dwarsgracht and the town of Blokzijl are fascinating historically. Blokzijl was situated along the sea until the Noordoostpolder was reclaimed as an agricultural area with pear and apple orchards. Half way on your route through the Noordoostpolder a small slightly elevated part of the polder becomes the UNESCO monument of Schokland with its partly intact retaining wall on the waterfront. Today it is a popular archaeological site and host to the Schokland museum. At the final end of the Noordoostpolder you will arrive at the very traditional fishing village of Urk, a former island in the sea. Urk is one of the most politically conservative areas in the Netherlands, a part of what is known as the “Bible Belt”. Here you will take the late afternoon ferry across lake IJsselmeer. Sit on deck relaxing while boating to the beautiful historic town of Enkhuizen to stay the night. Enkhuizen has one of the largest marinas in the Netherlands and the Zuiderzeemuseum is located here. The Zuiderzeemuseum is a museum devoted to preserving the cultural heritage and maritime history of the old Zuiderzee region. With the closing of the Afsluitdijk (Barrier Dam) in 1932, the former sea became the current lake (IJsselmeer). 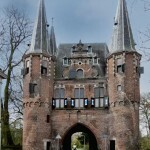 Cycling today along the shores of lake IJsselmeer you will arrive at the historic town of Hoorn. A major harbour during the during the Dutch ‘Golden Age’ , Hoorn was an important base for the Dutch East India Company (VOC) and the perfect spot for a great lunch! Head on along the shores of lake IJsselmeer head to the picturesque town of Edam well known for its cheese. Your final day is one of the most glorious ever. You will enjoy the historic fishing town of Volendam, a ferry crossing, the former island of Marken, charming Monnickendam, the Twiske recreactional area and finally the famous Zaanse Schans windmill group so wake up early to enjoy! Volendam is well known for its old fishing boats and the traditional costumes still worn by some residents. The ferry to the peninsula of Marken lasts around thirty minutes and is a perfect way to rest and relax. 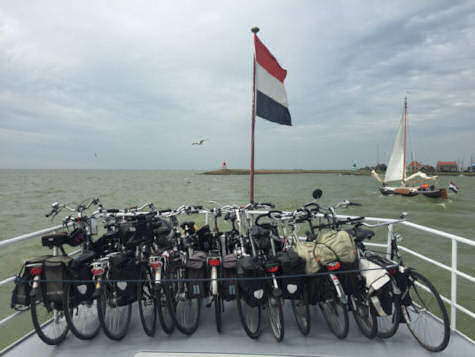 From Marken to Monnickendam you are biking along the shores of lake IJsselmeer for the final time before heading to the Twiske recreational lakes, a great picnic stop. Just as you think it’s all over the Zaanse Schans with its seven museums and eight different type of windmills are a huge delight and a perfect way to end your tour. If you have a question about one of our Ready to Go tours. Get in touch! We are more than happy to answer any questions you have.